Visioneering Technologies Inc. (ASX:VTI) Chief Executive Officer, President and Executive Director Dr Stephen Snowdy speaks with The Capital Network's Executive Director Lelde Smits about the global vision loss epidemic. Presbyopia is the loss of near vision in people over the age of 40-45 and affects nearly everyone in this age group in every part of the world while paediatric myopia (nearsightedness in children) affects one-third of children in US and 80-90% of children in many Asian nations. Sufferers are at high life-time risk for blindness and other debilitating ocular diseases. Presbyopia has a US$3 billion addressable market in US while paediatric myopia has a US$2 billion addressable market in US. Lelde Smits: Hello I’m Lelde Smits for the Capital Network and joining me from Visioneering Technologies is its President, Executive Director and Chief Executive Officer, Doctor Stephen Snowdy. Stephen welcome. Lelde: Stephen is considered one of the leaders in the vision industry. Stephen, can you start by explaining to us simply what is myopia and why we are experiencing a global epidemic? Stephen: Myopia is simply near-sightedness and near-sighted is that a person can see something up close, but they have trouble seeing things far away. Over the past 30 to 40 years, most industrialised nations have experienced a doubling in a percentage of their children who are near-sighted, which is obviously a major issue. Singapore and China have recently declared near-sightedness in children to be national healthcare epidemics, that’s how big of a deal this is. 80 to 90% of children in some Asian nations are near-sighted which is obviously a major issue. As with anything in medicine, of course, there is a genetic component, an environmental component. We can’t do much about the genetics. One of the large parts of the environmental component though is the amount of time children spend indoors. Children really need to spend much more time outside to minimise the risks of developing myopia or severe myopia. Lelde: What is currently being done to assist children with myopia? Stephen: There is very little actually available to help these children and their myopia. 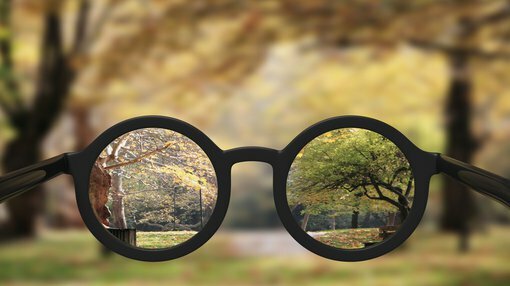 The really important thing about myopia is not addressing the near-sightedness. Of course, it is important to get the children to seeing clearly that’s a very important goal. But it is also very important to minimise how fast they progress into worse and worse near-sightedness. The reason for that is that the worst their near-sightedness is, the more at risk they are throughout their entire lifetime for blindness and other really serious ocular diseases. So, there is very little that we have available these days to slow down that progression of the myopia. There are some drugs and some more experimental types of lenses. Visioneering Technologies revolutionary optics have been shown to reduce the rate of myopia progression or worsening of near-sightedness in children by up to 90%. Lelde: When it comes to the global eyecare industry, in the next 5 to 10 years, where do you believe we are likely to see the greatest amount of innovation, or where is the need going to be coming from for that innovation? Stephen: The need is certainly going to be coming mostly from the industrialised nations. In the United State, 30 to 50% of our children are near-sighted. 90% of children in some Asian nations, so that is obviously where the pockets of needs are. What I see happening in the next 5 to 10 years, is a recognition that optics when well-designed can help control myopia and its progression. Lelde: Thank you Stephen for your insights today. We will certainly be watching in the future.